All articles you find at YourPokerDream are completely free and accessible to you at any time. Nevertheless, it is worth to get a certain VIP status to benefit from many great extras. Special promotions, cash prizes or invitations to special events. To be a YourPokerDream VIP player is always a big plus. All you have to do is to create a new poker account at one of our many partners and to play poker. By playing at the tables you generate automaticly rake/fees while your playing Cash Game or Sit&Go/MTT Tournaments. Each month you will start to collect YPD points for your status in the next month. For example, if you collect enough points in January to become a Gold VIP, you will get the status as soon as you hit the points target and will keep the status for February, too. 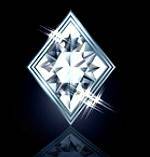 – Bronze-Status: You will become a Bronze VIP as soon as you have earned 1 YPD point. This is the basic status and you will keep for life as long as you don’t qualify for higher status. 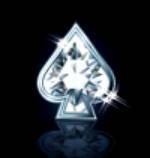 – Diamond-Status: This is the highest available VIP status at YourPokerDream. 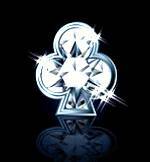 It is awarded only to our most active and loyal players after earning 50.000 YPD lifetime points. 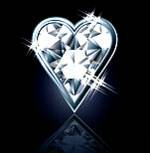 Once you have been upgraded to our Diamond VIP status you will keep it for life. *It is possible to make a special vip deal for new players if they rake at least $1.000 per month. Contact our VIP support for further information.